It can be a challenge to to figure out how to start in a new place. We created a one-stop “go-to” page to help. Enjoy the FAQ page; it’s your quick-start to the roleplay! Community Website The heart of NeoVictoria is our invite-only community website, dedicated to the role-players and film-makers in the project. Google+ Mostly holds links to machinima and re-tweets. KoinUp Group Koinup is a social network, online community and web portal dedicated to virtual worlds users. Subscribe-O-Matic Our public subscriber tool in-world; it allows avatars to subscribe to in-world announcements without having to give up an SL group. The Announcements roll on the left-nav of this page is culled from this tool. 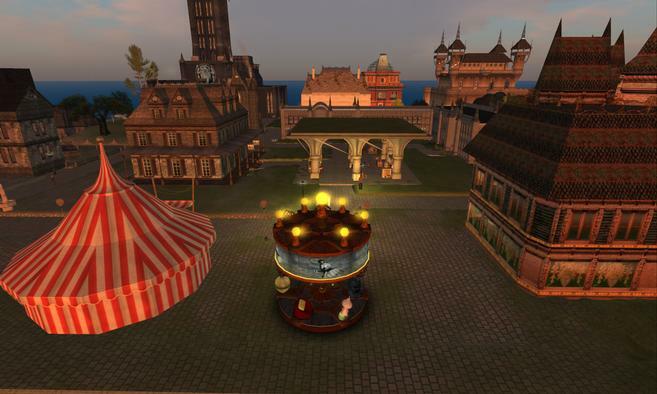 Visit us in Second Life Our page in the SL Destination Guide for Steampunk roleplaying communities. Radio Riel and the NeoVictoria Project present a 2018 Halloween Event! Radio Riel and the NeoVictoria Project present the 2018 “Talk Like a Pirate!” Event! Fantasy Faire 2018 Is Almost Here! Radio Riel and the NeoVictoria Project present a 2017 Halloween Event! Radio Riel and the NeoVictoria Project present the 2017 “Talk Like a Pirate!” Event! We’re in the Second Life Destination Guide for SLB14! Meet And Greet 2, 9AM to 11AM, SLT http://maps.secondlife.com/secondlife/Tensors%20Flying%20Market/152/124/121 The NeoVictoria Project invites all citizens and wanderers of the Fairelands to join us for our Meet-and-Greet on the Tensorsâ Flying Market SIM. Meet And Greet starting soon, at 6PM, SL-Time http://maps.secondlife.com/secondlife/Tensors%20Flying%20Market/161/129/121 The NeoVictoria Project invites all citizens and wanderers of the Fairelands to join us for our Meet-and-Greet on the Tensorsâ Flying Market SIM. Rentals in NeoVictoria --------------------------------- The Clockwerk Bunny is almost here, get a yard so it can leave you some ticking eggs! They're definitely safe and definitely NOT a miniature army waiting to spring into action! Visit https://neovictoria.tv/rules/rentals/ to learn more OR contact Jhaesoph Foxdale to chat in-world. Copyright 2015; all rights reserved.